It seems fitting that on the final day of 2014, we should look to the future. 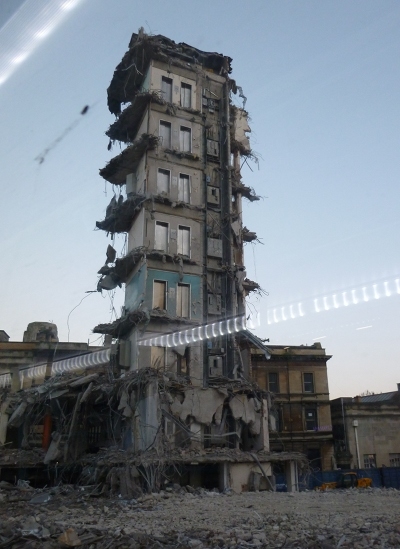 I passed this building site on a bus and was struck by the bleak beauty of that one remaining tower – ready to come down to make way for whatever’s coming. In a way we need to be that ruthless with our creativity. Tear down old ideas to make way for fresh successes. 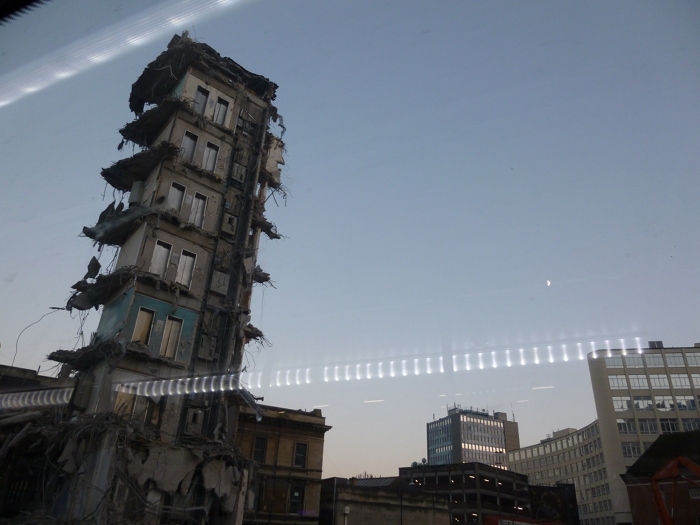 This particular shot reminds me rather of Anselm Kiefer’s ‘heavenly palaces’. With this in mind, I wish you a very happy, fulfilled 2015, and hope that if you’re out celebrating tonight you stay safe, wake warm and recover gently. Interpret this scene however you like. If you write something prompted by it, please let me know by sending an email to Judy(at)socket creative.com. With your permission, I’d love to share it on SkyLightRain.com.